One of the many things I love about my MidLifeCrisisMobile is Sirius Radio, because sometimes when I'm listening to Deep Tracks, Classic Vinyl or Classic Rewind, a song will come on and boom, I'm taken to another time and place. It happened yesterday when I was on the way back from visiting my dad at his assisted living facility - "Fat Man in the Bathtub" by Little Feat came on and I was suddenly back at Duke, sitting on the little balcony above the doorway at Wilson House, the one you had to climb out of the bathroom window of my suite to access, drinking beers and watching people hang out and play frisbee on the East Campus quad. Even though I hadn't heard it over twenty years, I still remembered all the words. I asked my social network friends the question: Why do I remember the lyrics to a song I haven't heard in over twenty years, but I can't remember what I ate for breakfast? I was thinking about this yesterday when I went to visit Dad. He was pretty out of it when I arrived. His circadian rhythms are reversed, so he spends a lot of the night walking the floors, and then is sleepy during the day. When Benny and I arrived for our visit, it took Benny a lot of face and hand licking to wake him up, and when he did wake up, he was very groggy. Downstairs, they were having the weekly singalong, so I encouraged Dad to get up and come for a walk with us so we could go join in. He held his head when he stood up, and because he can't articulate what he is feeling, we (his family and the staff) have to work together to figure it out from his past medical history and the clues he gives us). Are his medications affecting his blood pressure, causing him dizziness? Does he have a headache? It's like a giant guessing game, where the patient can't tell you if you have the right answer. All you can do is watch and observe and see if he looks happier and more comfortable. We went to join the singing, and Dad sat quite happily with Benny on his lap, and was even happier after my brother John joined us. The songs they sing are mostly from the 40's and 50's. "Smoke gets in Your Eyes." "As Time Goes Bye" "The Tennessee Waltz" "I love you truly, dear" (which always makes me verkempt, because my Grandma Mollie, Dad's mom, who also ended up with Alzheimer's, used to sing it to us). Yesterday, I witnessed one of the ladies, who usually smiles at me but never speaks, get totally excited and talkative when her favorite song came up. She sang, loudly and not particularly tunefully, but it didn't matter. She was responding, and it was beautiful to see her face light up and to witness how it was the music that had touched some memory deep within her and turned on the switch. I turned to my brother and asked, "What songs do you think they'll play when it's our turn?" And I had this vision of myself, my wrinkled face lighting up, shouting "BISMILLAH, NO! WE WILL NOT LET HIM GO! LET HIM GO!!" as my middle aged children cringe. Or maybe, by then, they'll just be happy that Mom remembers, and sing along with me. There was another horrifying story of an accidental gun death today. A five year-old boy in Kentucky shot and killed his 2 year-old sister. The mother was home, but had stepped outside for a moment. But what struck me about this story, was that this five year-old boy accidentally killed his sister with "the .22-caliber rifle he got for his birthday," according to state officials. 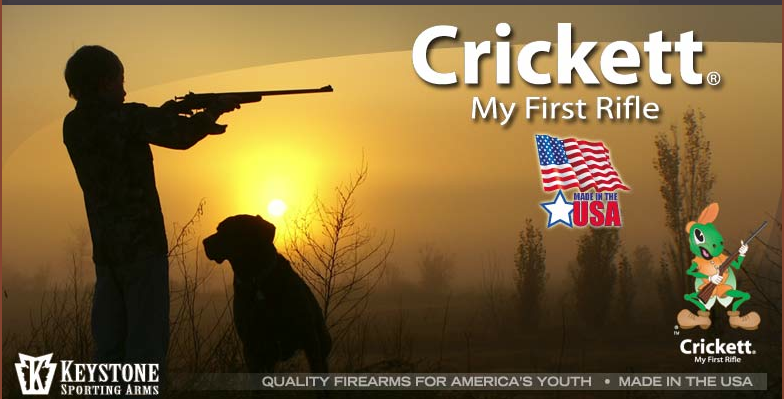 The .22 was a Crickett, advertised on their website as "My First Rifle." gun laws. But Auntie Sarah is about to rant on the subject of age appropriate toys and parenting. A firearm is not, in any rational world, an age appropriate gift for a FIVE YEAR OLD. EVER. I don't care if you live in the country. I don't care if you live in a "gun culture." This isn't anything about me wanting to deny you your 2nd Amendment Rights. I'm talking about using COMMON SENSE here, people. If "guns don't kill people, people kill people," why on earth would you be stupid enough to give one to a five year old? Would you let a five year old have access to bleach or paint thinner? Would you let a five year old drive your car? Would you let a five year old play with matches and fireworks? Would you give a five year old a sharp knife as a toy? If you are a responsible parent with half a brain, the answer to all of these things would be a resounding NO. It's nothing to do with "rights". It's everything to do with being a responsible parent with a brain, who understands the socio-emotional and physical capabilities of your child at a particular age. What "gift" have these parents given this poor kid? A lifetime of guilt, knowing that he killed his baby sister, when he was too young to even bear the responsibility for doing it. But it's not him who should bear that guilt. It's his grossly negligent parents. And it's the gun manufacturer that is sick enough to purposely market firearms to children. We don't allow tobacco companies to market cigarettes to children. Why do we allow gun manufacturers to market guns?